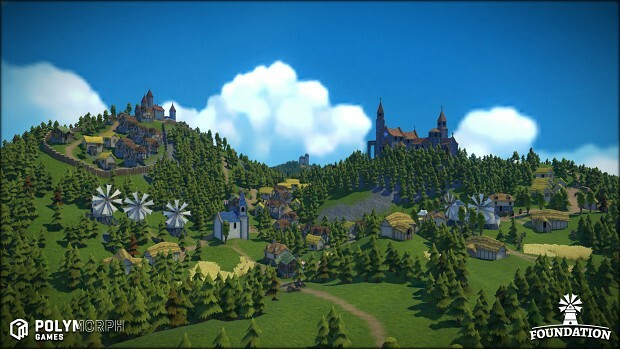 Grow your untapped land into a great sprawling kingdom as you appease the political factions of your area, all while listening to a beautiful original soundtrack by the veteran composers who’ve created music for Paradox Interactive’s Crusader Kings II, Europa Universalis IV and The Guild 2-3 games! LAY THE FOUNDATION, THRIVE, AND PROSPER: Weave a complex web of interactions between inhabitants needs and skills, resources availability, extraction, and transformation. UNIQUE MONUMENT CREATION TOOL: Craft and design original free-form monuments like Abbeys, Churches, Lord Mansions, Castles and more, with our proprietary node-based tool. FULL MODDING SUPPORT FOR THE COMMUNITY: Share characters, buildings, quests, and even real topologies through our mod-support tool and be part of the Foundation community. 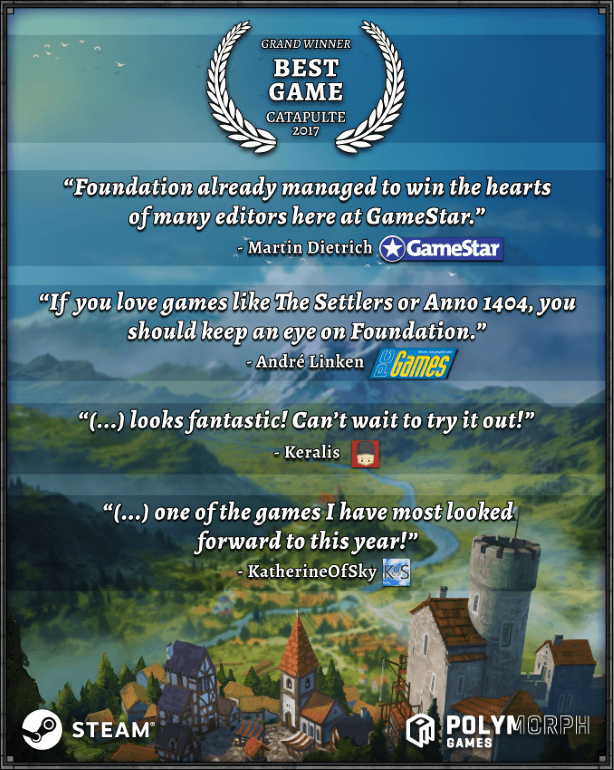 ORIGINAL SOUNDTRACK BY PARADOX VETERANS: Immerse yourself in our blissful soundtrack by talented composers who worked on titles suche as Crusader Kings II and Europa Universalis IV! 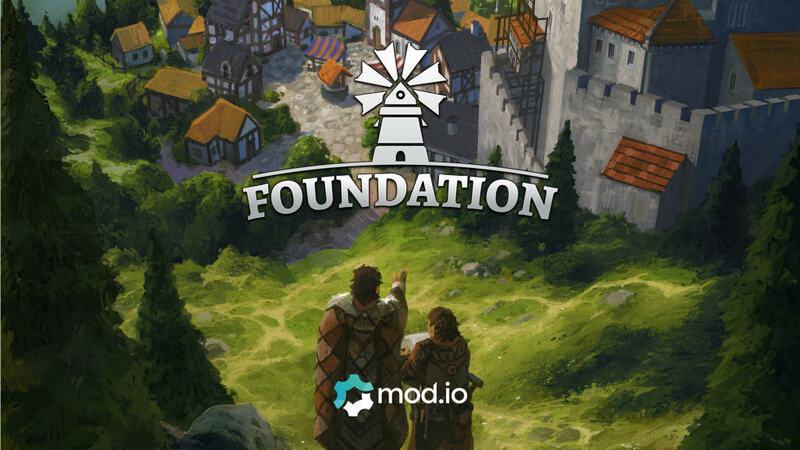 Foundation is built using Polymorph Games’ proprietary game engine, Hurricane – an engine that itself is open to extensive modding capabilities, making it a perfect choice for use with the mod.io modding API. 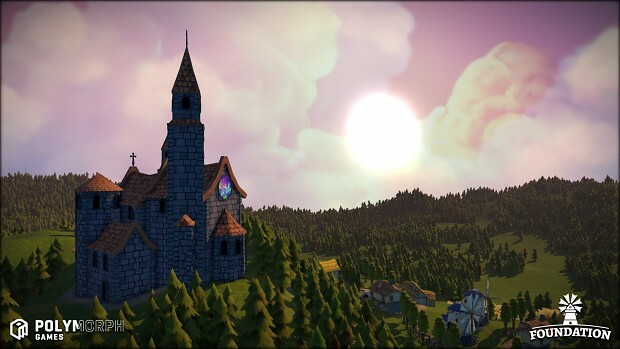 As such, players who are interested in getting started learning to mod the game will find extensive support available. 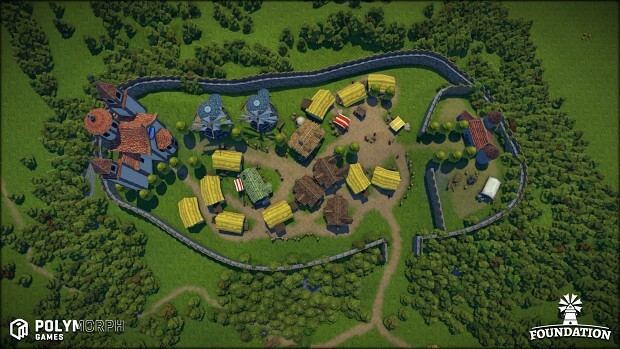 I love the unintentional flexing on Anno/Dawn of discovery games with the grid-less building mechanics. It's about time we say goodbye for 90° angled hellscape, and do something fresh instead.